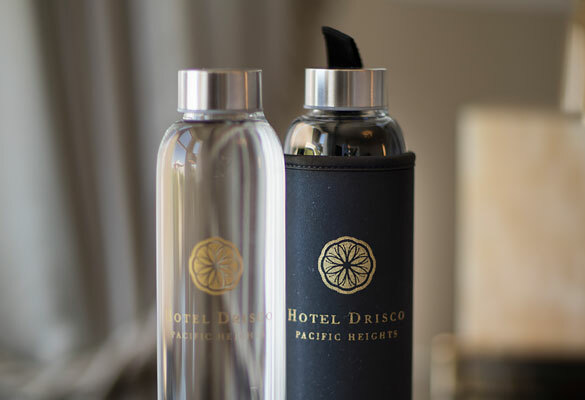 The goal of the Hotel Drisco's environmental sustainability program is to be a good neighbor and a responsible steward of our environment by incorporating sustainability into our core business operations. Our green policies and practices are designed to educate our employees and guests, reduce waste and toxins, conserve natural resources and support local and environmentally-friendly businesses. 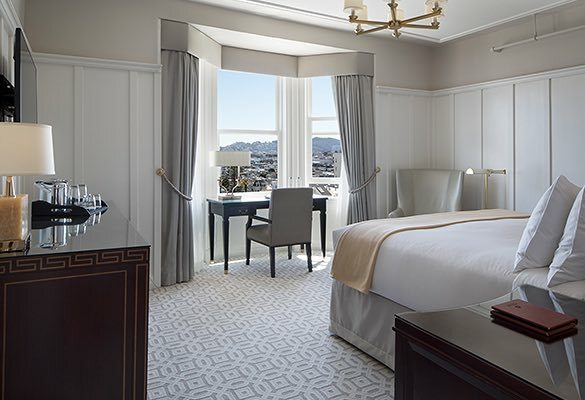 The Hotel Drisco has been certified by the City and County of San Francisco as having met the stringent environmental standards of the San Francisco Green Business Program. We have also been awarded “Green Leader Gold” status by Trip Advisor. We will continue to search for green energy ideas for our hotel and we welcome your suggestions! Our on-site laundry facilities use a cold-water, unscented, chemical-free ozone cleaning system. Our housekeeping staff utilize the same ozone cleaning system (as above) in servicing the rooms. When cleaning using different products is necessary, our housekeeping staff utilizes primarily certified Green cleaning products such as orange oil and rosemary air freshener. Guest rooms are provided with recycling bins. We utilize separate composting and recycling programs. We use paper products of at least 40% post-consumer recycled waste. Towels, linens and unclaimed personal items are donated to the St. Anthony Foundation. Furniture and office supplies are donated to The Salvation Army and Goodwill Industries. Partially-used bath amenities are donated to Clean The World, a nonprofit organization which reformulates the products and ships them to communities in need across the globe. Leftover food and beverages are donated to San Francisco Food Runners. 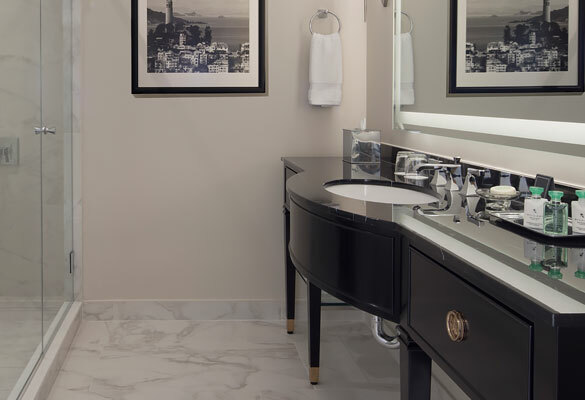 We utilize a cutting-edge radiant hydronic heating and cooling system throughout the hotel. This system is both highly energy efficient and responsive to guest needs. We utilize only Energy Star-rated electrical equipment. At least 10% of the energy we purchase is derived from renewable energy sources. Our light bulbs and fixtures are constantly being upgraded to utilize the most advanced energy-saving technologies, including CFL and LED. We have eliminated incandescent bulbs. We utilize vacancy sensors so lighting is extinguished when no one is present. Our staff has been trained to turn off lights and TVs in guestrooms immediately upon guest departure. All showers and faucets use water-saving aerators. 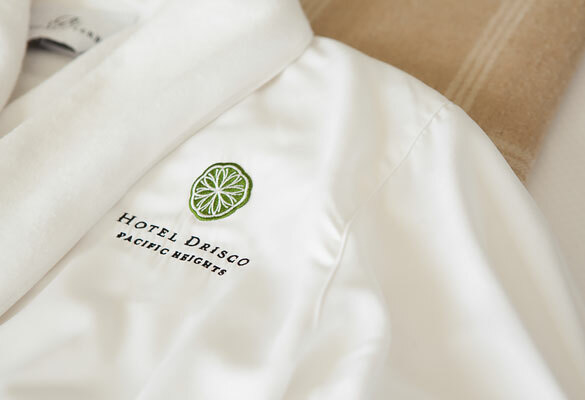 Guests are given the opportunity to reuse linens and towels. We utilize hot water conservation software provided by EDC Technologies which adjusts the amount of hot water stored based on past patterns of demand. All water sources are regularly inspected for leaks and promptly repaired when necessary. We recycle all electronic equipment, light bulbs and batteries through Recology San Francisco. Stockpiles of paints and chemicals are kept to a minimum. We use only certified Green cleaning products, such as orange oil and rosemary air freshener. Whenever possible we source local products to reduce pollution due to transportation. We use organic, fair trade food and beverages as much as possible. 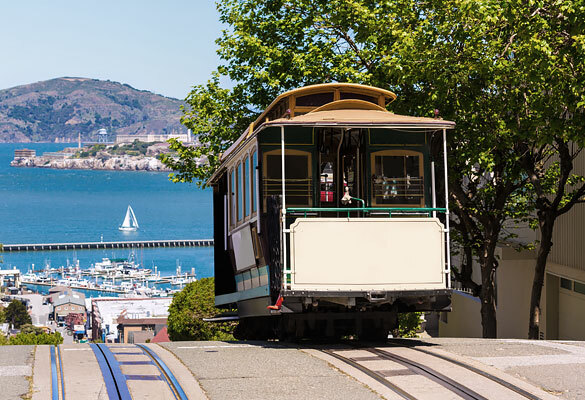 We encourage employees and guests to use public transportation.